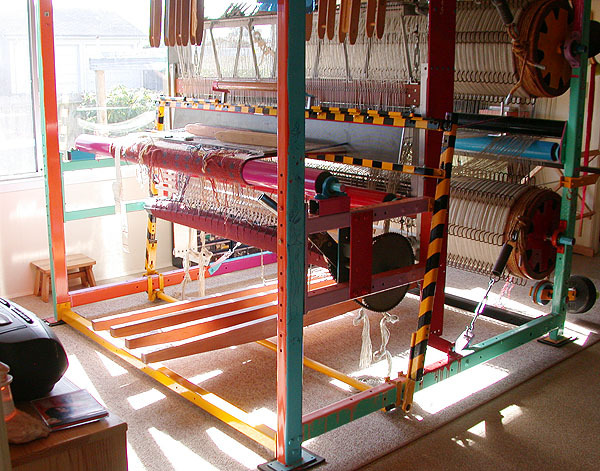 The loom is a custom made loom, pretty much one-of-a-kind. It was built by John Bettencourt, who is now retired. It is very large and requires a good deal of physical stamina. I stand up to weave. 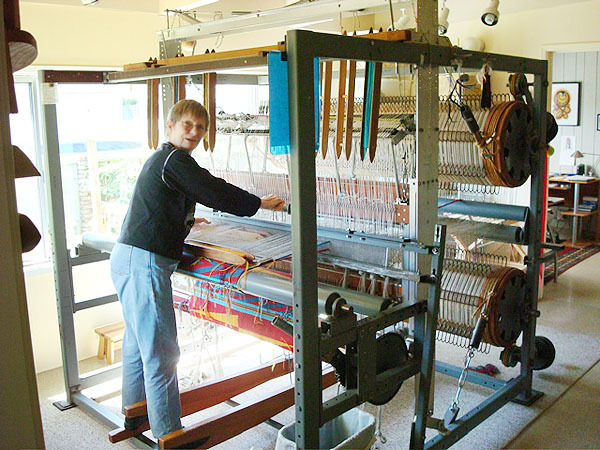 The loom also requires a certain amount of mechanical skill, which I have learned as I go along. Cables break and have to be replaced from time to time. It has been a wonderful challenge to be in charge! In the future, the plan is for several of my artist friends to each paint a section of the structure in designs of their choosing – what fun! Stay tuned for photo updates as it happens.